Plateau State was on Sunday thrown into mourning with the killing of 86 persons in the attacks on about 11 communities in the Gashish District by suspected Fulani herdsmen. The Police Command in Plateau State had earlier on Sunday confirmed the attacks, saying it had only recovered 11 corpses from some of the villages. But residents had insisted that about 200 people were killed by the marauding herdsmen. However, the police later issued a statement that indicated that the death toll in the attack on the communities in the Barkin Ladi Local Government Area on Saturday night had risen to 86. It added that six people were injured, 50 houses burnt, 15 motorcycles razed while two motor vehicles were torched. The spokesperson for the Plateau State Police Command, Matthias Tyopev, an Assistant Superintendent of Police, in an updated statement issued on Sunday night, said the earlier 11 death toll in the attacks was due to the information at its disposal as of than before the arrival of the search and rescue team from the Barkin Ladi LGA. Tyopev had identified the 11 corpses as Dalyop Vanode, Dom Danladi, Bururu Wade, Joju Rala, Titus Danladi, Bitrus Malat, Alu Matir, Noron Monday, Cecilia Yohana, Dam Bulus and Ladi Danladi. He said, “Sequel to the attack in the Gashish District of Barkin Ladi LGA yesterday (Saturday) June 23, 2018, the Commissioner of Police, Plateau State Command, Jos, Undie Adie, after deploying more personnel in the district sent a search and rescue team from the Command headquarters today (Sunday) for an on-the-spot assessment. “The team headed by ACP Edeh John of the Department of Operations had also the DPO of the Barkin Ladi Division and a Unit Commander from Mopol 38. After a careful search of the villages attacked in the District, the following was discovered: 86 persons altogether were killed, six people injured, 50 houses burnt, 15 motorcycles and two motor vehicles also burnt. While the Peoples Democratic Party and the Christian Association of Nigeria, called on the global community to rescue Plateau State from the attacks, the Plateau State Government imposed a dusk to dawn curfew in the Riyom, Barkin Ladi and Jos South LGAs. The decision, according to the government, is to avert the breakdown of law and order. 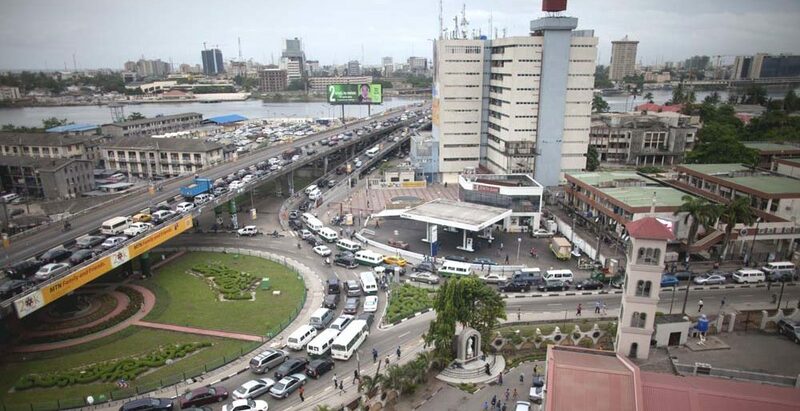 A statement issued on Sunday by the Secretary to the State Government, Rufus Bature, said movement would be restricted from 6 pm to 6 am, except those on essential duties. “The soil of Plateau smells with rotten dead bodies as a result of silent killings and many people are missing,” CAN be stated. The attack was said to have been launched at Xland. Gindin Akwati, Ruku, Nghar, Kura Falls and Kakuruk all in Gashish District were completely sacked by the assailants. Other areas affected by the attacks included Rakok, Kok and Razat in the Ropp District. The Chairman, Public Accounts and Petition Committee in the Plateau State House of Assembly representing the Barkin Ladi constituency, Peter Gyendeng, in an interview with The PUNCH on Sunday said the attacks were a declaration of war on his constituency. He claimed that mercenaries were hired to kill people in the Barkin Ladi LGA. Gyendeng said, “As a matter of fact, the casualty rate is in hundreds; it is more than 100. In one place, it is above 51, in another, over 32 and yet in another area, it is same. For now, based on what we have on the ground and the corpses that we have been receiving, it is probably over 200 casualties. Reacting to the killings, the PDP described Governor Simon Lalong of Plateau State as an “absentee governor, who had been out of the state for the past three weeks. The PDP in a statement by its Publicity Secretary in Plateau State, John Akans, described the attacks as genocide. He said, “We received with rude shock the level of genocide going on now in the Gashish District, Razat, Ruku Nyarr and Gana-Ropp, all in the Barkin Ladi LGA. We also note with great pains the dastardly attacks ongoing in many other LGAs in the state by the Fulani militias. “We condemn, in the strongest terms, the level of continuous genocidal attacks on Plateau people. At the moment, Barkin Ladi is under siege by the marauders with over 130 people feared to have been killed. As of the time of issuing this statement, CAPRO School of Missions-SOM in Gana-Ropp is under heavy attack by the militia. “…We call on the international community to come to the aid of Plateau people as beside the over 130 people killed, many are missing. While we mourn our people, we are calling on this failed, incompetent and ineffective APC government at all levels to, for once, be sensitive by discharging its constitutional responsibility of protecting lives and properties of its citizens. “While killings are going on, the President (Muhammadu Buhari) is busy telling members of the international community that Nigeria is safe for investment and tourism. But the Plateau State Government commiserated with citizens especially, Xland, Gindin Akwati communities of the Barkin Ladi LGA, saying it held every single life as sacred. The government requested citizens to use the “early warning system” mechanism recently launched by Operation Rainbow on 30812 for SMS and 09060100010 for voice calls. He said, “The government condemns these attacks and has mobilised the full compliments of security forces and they are restoring normalcy in the affected areas and the environs. Furthermore, the government holds every single life as sacred hence has mobilised medical and relief agencies to ameliorate the suffering of those in distress.